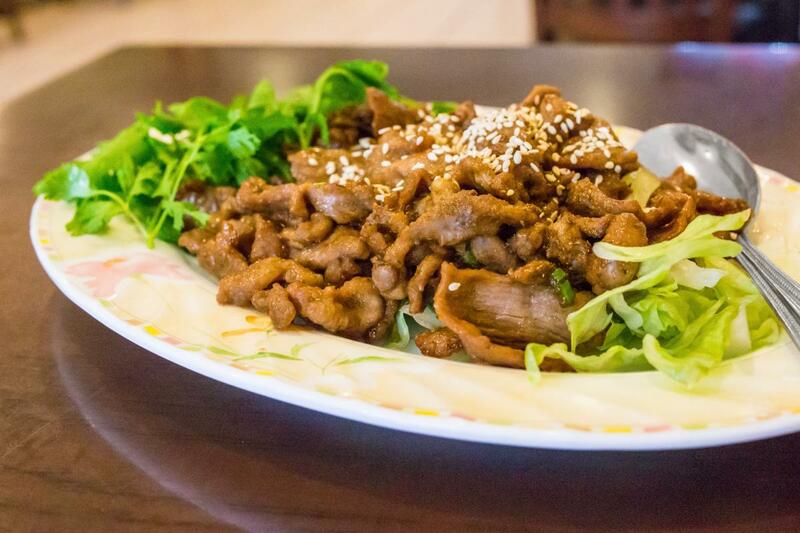 We found some superb regional Chinese spots all around Boston. And guess what? None of them are located in the parking purgatory known as Chinatown. Let’s start by distinguishing between American-Chinese cuisine and regional Chinese cuisine. At Chinese restaurants that don’t break the bank, the former is largely hit or miss, while the latter can knock your socks off if you know what to order. As food writers go, I wouldn't hold myself out as a Chinese food expert, so I do my research on best dishes beforehand when possible, pay attention to the food at other tables and always ask waitstaff for help on what to order. It's the only way to learn. And it works. The waitstaff invariably steer me around the menus, from the spicy flavors of Szechuan region, to small plates of Cantonese dim sum, to tangy vinegar touches of the Shandong cuisine. 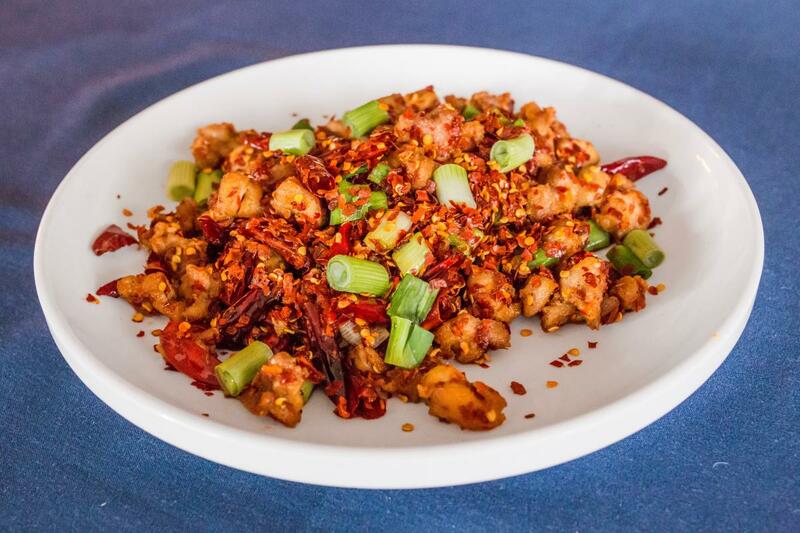 Xuhai Cao, owner of Chilli Garden, is all about his authentic Szechuan peppercorns, which he imports specially from China because he just isn't satisfied with the ones available on this side of the pond. Szechuan peppercorns numb your mouth, he told me, and it’s true. The sensation of the electric-charged peppercorns combined with the hot peppers produces the revered Sichuan taste known as ma-la. I stumbled upon this foreign tingly flavor showcased in the catfish, which is stir-fried with garlic, ginger, Jamaican peppers, long hot peppers, and green peppercorns (pictured at the top). 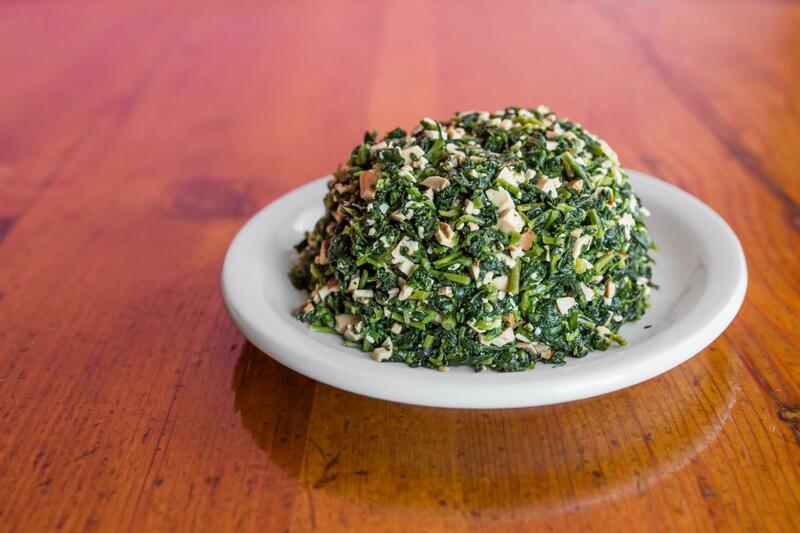 One American customer came to Cao and complained that there was something wrong with his ma po tofu because his mouth was going numb, Cao said. Cao refunded the man’s order, because the customer is always right, but explained politely to the man that he was wrong; the tofu was supposed to numb your mouth, because of the authentic Chinese peppercorns. Now the man comes in regularly and always orders the ma po tofu, he says, smiling. 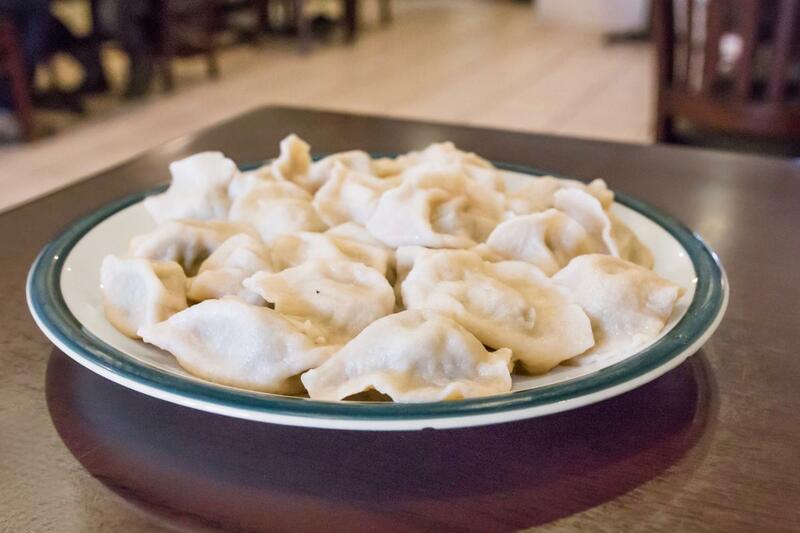 The team at Qingdao Garden is rightfully famous for its pork-and-leek dumplings, bite-size, hot and juicy and porky, accompanied by a sauce with soy, vinegar and spice. 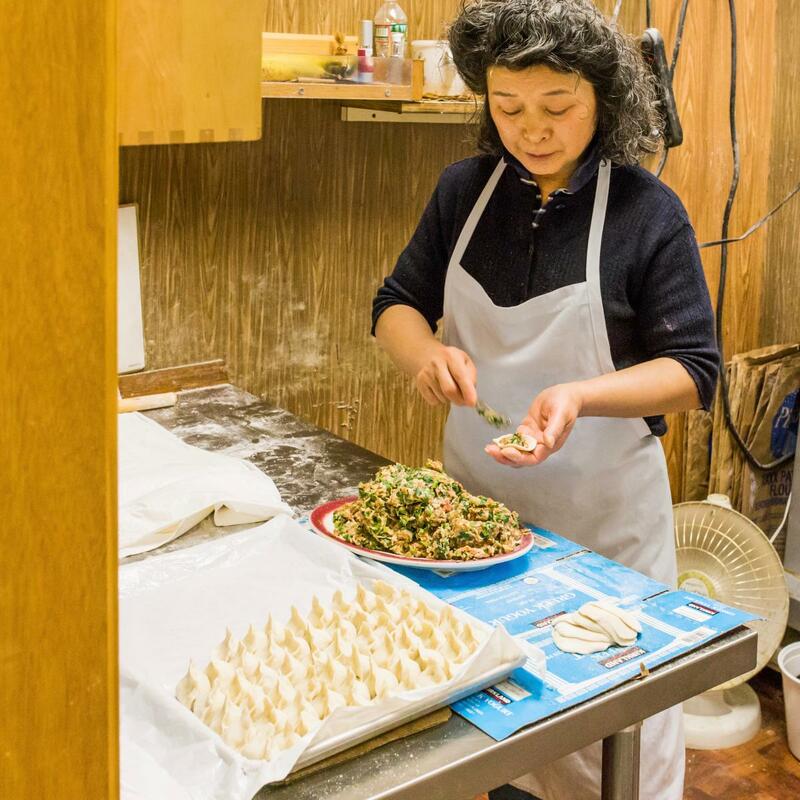 The Dumpling Lady —her real name is Jianhua Ma — makes Qingdao Garden's dumplings by hand on-site, which is no small feat, as the restaurant sells over a thousand a day, says waitress Claire Cui. Wen Xiang worked three jobs — two full-time and one part-time — to save up money for a Chinese restaurant, finally purchasing Qingdao Garden in late 2007. Nowadays, he puts that work ethic into his food, visiting markets at least twice a day to make sure that the ingredients are fresh. The effort shows. Discerning diners would regret missing the cumin lamb, with impossibly tender pieces of lamb cooked with fragrant cumin and sprinkled with sesame seeds. The leek pie, a pocket of dough filled with fresh leeks and fried golden, is also memorable. Before opening this tiny hideaway on Harvard Avenue, owner May Wang was born and lived in Shanghai for 35 years. 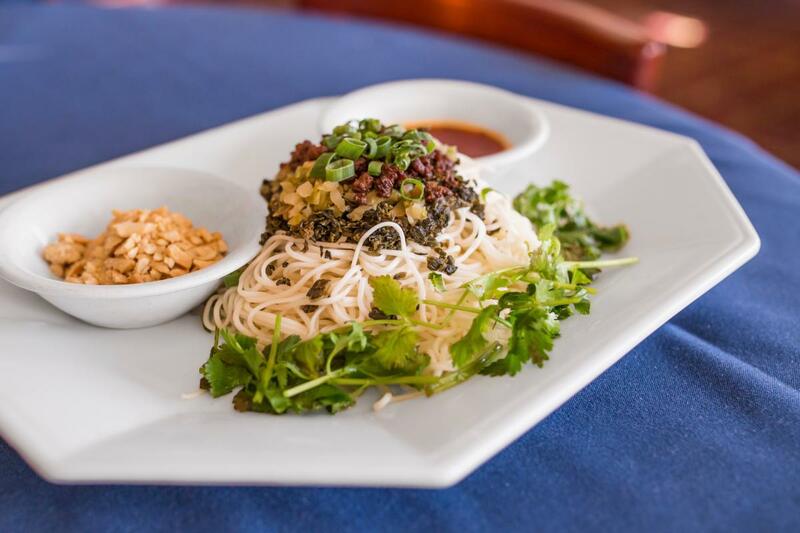 The food she serves at Shanghai Gate is the food she grew up with—food she had trouble finding when she moved to Boston, she said. 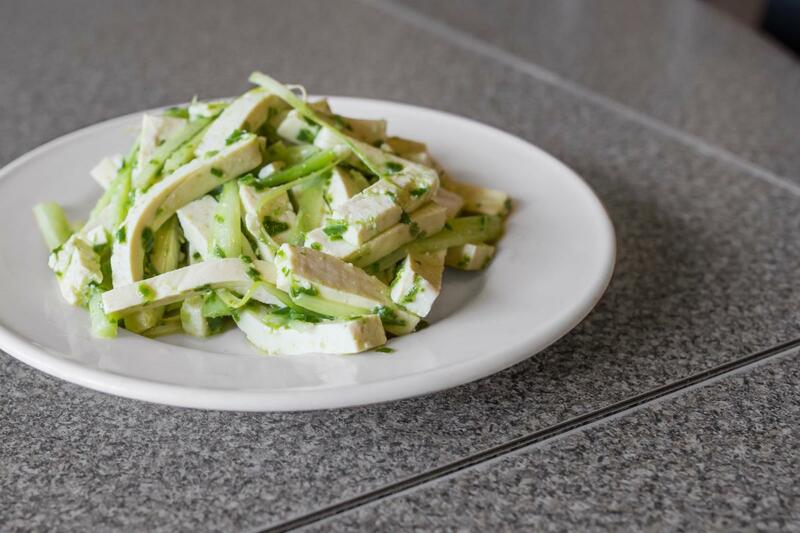 For a light start to your meal, the wild vegetable with bean curd appetizer has chopped greens speckled with itty-bitty pieces of spiced tofu. The sweet and sour baby ribs are served cold, the tender pieces of pork cooked in a slightly tangy but not overpowering sweet and vinegary sauce. 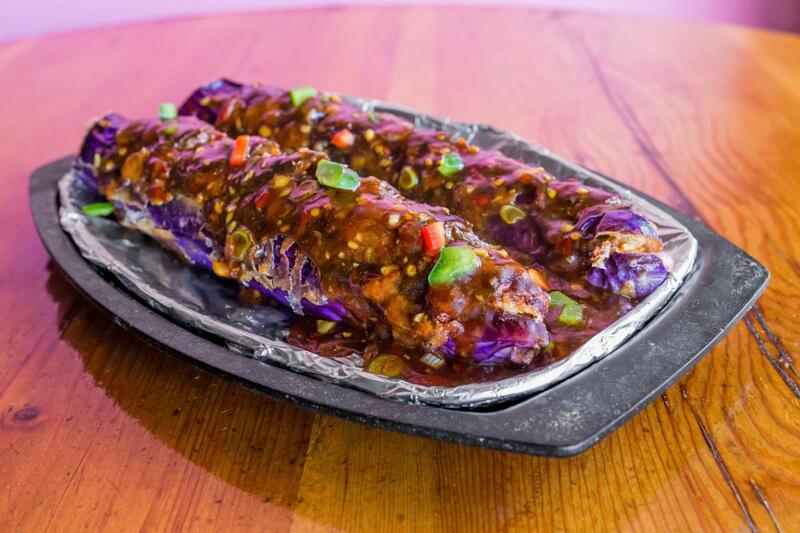 For a filling entrée that will leave you with more than enough leftovers, the sizzling eggplant features two long Chinese eggplants cooked in tinfoil until tender, then smothered in a mildly spicy pork and garlic sauce. The hot diced chicken, Szechuan-style, is so spicy as to be an exercise in masochism for Westerners, and I mean that as a sincere compliment. The small chunks of chicken are dry-fried with chili peppers and drowned in chili flakes, for a crispy and fiery experience that will leave you gasping for a glass of water, and then another bite. This is a dish that the Szechuan people order, said owner Diane Tang. On a less volcano-y note, the noodles with spicy Szechuan sauce—the traditional dan dan mian noodle dish—has heat but seems like a dip in the pool compared to the hot diced chicken. There is a pleasant medley of complex flavors: chilled noodles, smoky pork, two kinds of pickles, with chili oil and chopped peanuts on the side. For more information on what to order at FuLoon, along with a quick and effective takedown of people who order Americanized (bastardized) dishes instead of the Szechuan classics, check out J. Kenji López-Alt’s Serious Eats article.